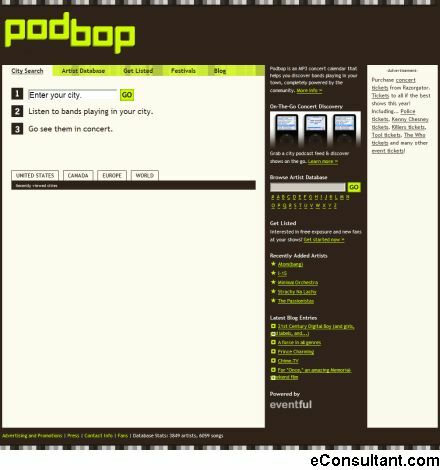 Description : Podbop provides a simple, revolutionary way to discover concerts worldwide. The site matches legitimate MP3s with upcoming shows. Users can stream city event MP3s or subscribe to them as a podcast feed for on-the-go discovery.